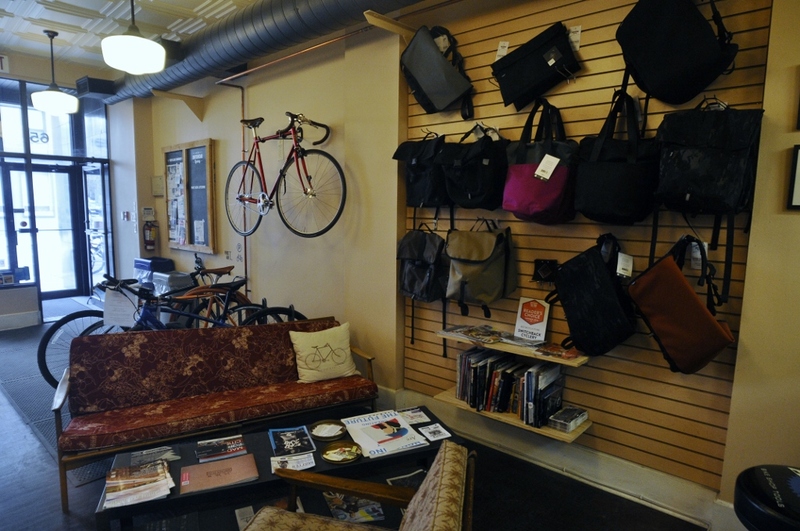 Wherever you go, bike shops provide a point of connection among cyclists. 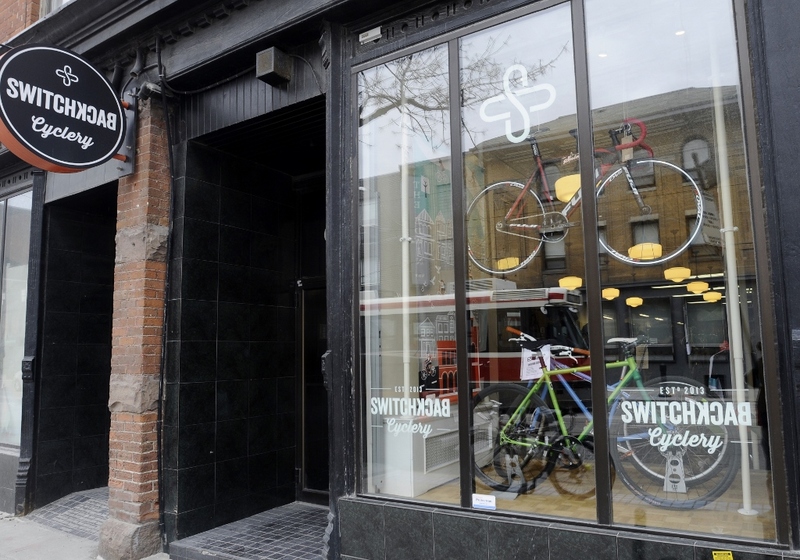 At Switchback Cyclery, however, that spirit of community extends beyond bikes and into building relationships throughout the neighbourhood. 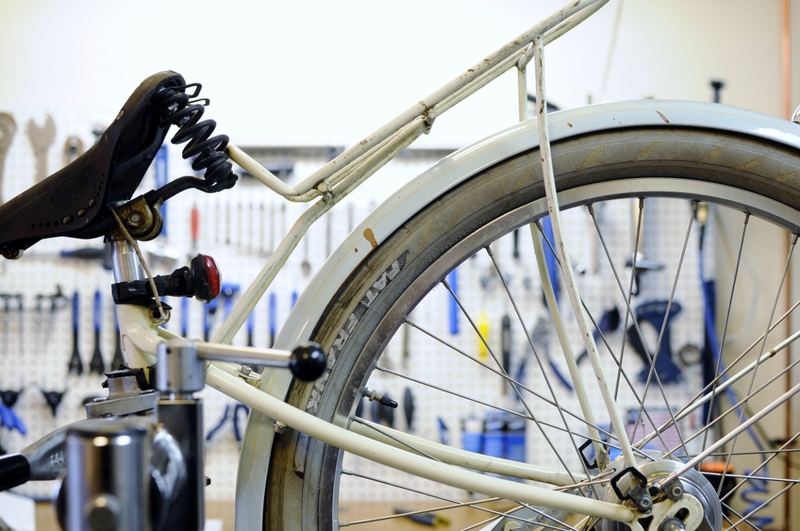 A project of Sanctuary Ministries, a Christian charitable agency, the Queen Street East bike shop offers training and employment for people who could use a boost. 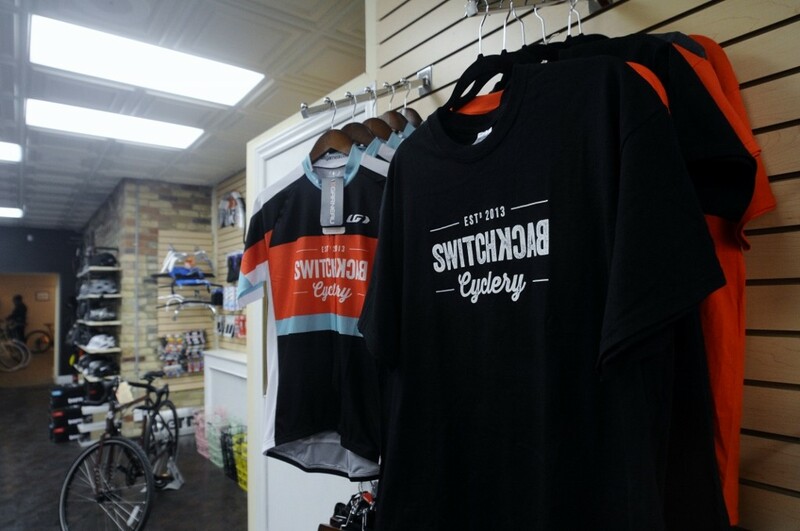 Bolstered with a grant from the Toronto Enterprise Fund, Switchback opened its doors in 2013. We spoke with co-managers Cynthia Leung and Steve Hunter about their work and their community. Coming up on three years, how has it been? Cynthia: It's been great. The neighbourhood has been really welcoming to us. I guess there are so many bike shops in the west end, it seems the east end is underserviced. People are like, "we're so glad you're here". It's been a really great reception. I think we really lucked out in our location, too. We were thinking even more east, like Leslieville…It was a real blessing just to have this – everything we needed. How did Switchback come about? Cynthia: The program before this was actually a wood-working studio… about seven years ago. We wanted to have something that would provide meaningful and dignified employment for community members of Sanctuary, who had maybe had rougher challenges in their lives or struggles, had other obstacles. And that was at Lansdowne and Bloor. The problem with that it was a big warehouse -- there would be benches, boxes, really gorgeous handcrafted wood products. But it didn't have a good business model in that it didn’t have a sustainable business model… And it didn't have a storefront. 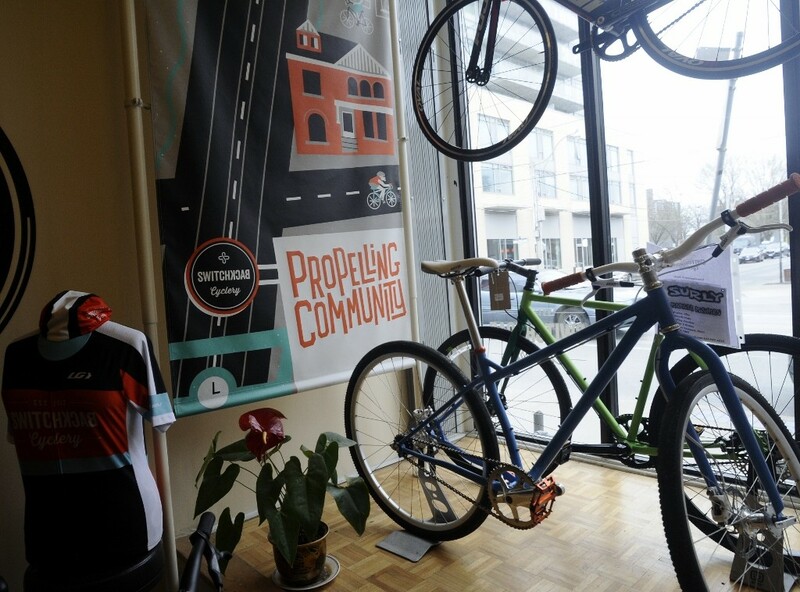 There were a lot of lessons that were learned from that endeavor… (Working with the Toronto Enterprise Fund) we went through all the bike shops in Toronto and stood on the curb and counted bikers, looked at what was the demographic. We submitted this proposal with the help of Alan Beattie, who's the executive director at Sanctuary. We ended up winning the grant for that year, and that was the kickstarting money. And they've been fantastic, they're amazing. How do people come to work here? Cynthia: The majority are through Sanctuary. And Sanctuary is about building relationships. Some people ask how many people do you hire, how many people go through your program or something. We'd prefer to not think of it even as a program. If somebody was working here and they want to work here for life, as long as we're open, yeah. We have no real desire to churn people out and send them on their way. Not everybody who works here is a mechanic. We have an administrative team, people who work the cash, shipping and receiving, and inventory. I guess that mechanic is a kind of glorified position, because you think that everybody wants to be a mechanic. But there's so much more important stuff that happens that's really understated, that isn't always recognized. What we said when we announced we were hiring at Sanctuary was that you don't really need to know all this stuff. What is important to us is that you have a teachable spirit: you want to learn, you want to change. You have a desire for growth. 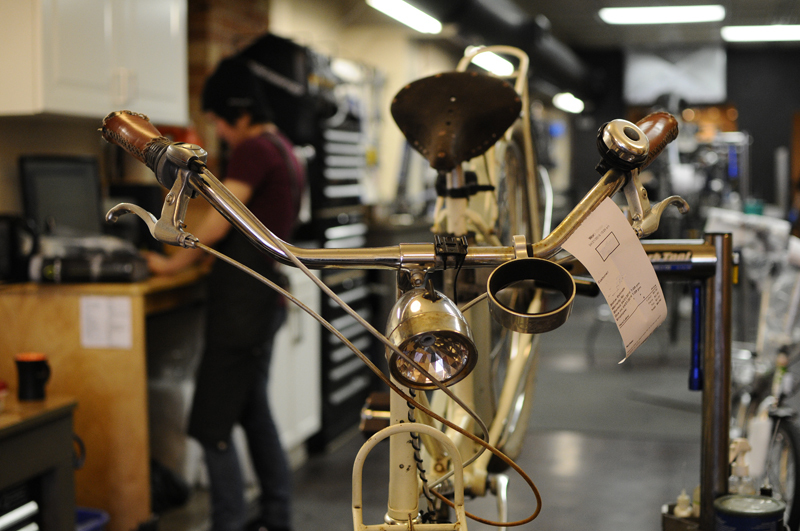 What would you say is a strength that Switchback brings to the bike community? Steve: I would say we're relationship-based. I would rather have a couple come in looking for bikes and send them out without any bikes, and be totally happy not selling them anything but having them educated so they at least know what they’re looking for. We're much more interested in educating people than in turning people into cash. We really care deeply about educating. That’s why the stands are in the open. People can see. There's transparency and honesty, but there's also teachability: "Do you mind me watching you change a tire?" "Absolutely. I'll explain it to you as I do it." Do you think bikes lend themselves to that sort of spirit? Steve: Absolutely. It's the best form of transportation known to mankind. Every time you ride a bike you get healthy. That's kind of the opposite of what happens every time you drive a car. You probably have more anxiety; you're not getting any exercise. Are there any tips for people just getting back on their bikes, or to change their mindset from a winter to a spring ride? Cynthia: Definitely having the right clothing helps. Nobody likes being cold and wet and miserable. Dress properly. Sometimes that's a barrier for people who don't have the clothing anymore. Just staying on top of the maintenance is important. I know that when you get home from work the last thing you want to do is spend another 15 minutes wiping down your wet, gross bike. And some people can't even bring their bike indoors. So that's hard too.